Well, if you are friends with me on Facebook...you may have just heard the BIG news!!! I'll tell you what's cooking this week, and it has been cooking for the last 12 weeks!!! Hubby and I are just SO excited...now that the news is out, it makes it even more real! Baby Sko will be arriving on September 6th, and this little guy or girl is LOVED so much already! This will be my parent's first grandchild, and Stephen's parent's TENTH! Crazy right!?! Talk about a growing family! Well we have about 6 months to go, so far so good. I have been feeling pretty great during the day...but nights are another story. Honestly, keeping up with the meal planning, cooking, and posting on the blog has been quite the challenge but I'm up for it! 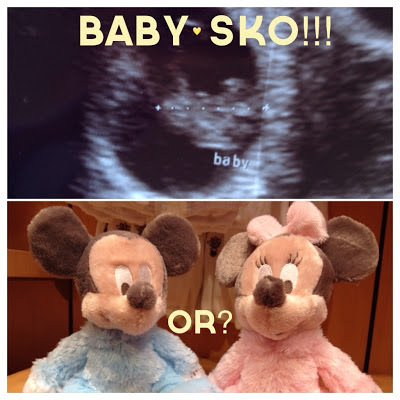 I'm sure once Baby Sko gets here, it won't be too easy then either. I'm trying my best to forge ahead...a little nausea isn't going to stop me. Although I must confess, I HAVE swapped out dinner once or twice for a bowl of cereal. This week, I am committed to stick to what I have planned whether or not I eat it that night for dinner - I can have a yummy lunch the next day! So that's it..the big announcement has been made! So happy the secret is out! So happy and excited for you girlfriend!!! Congrats you two. Remember no first names starting with "S" and looks like we need to come visit before September 6th.